Isabel, a 3-year-old daughter of Jason and Charlotte Maude was misdiagnosed at a local hospital in England. Isabel spent two months in hospital, including a month in Pediatric Intensive Care Unit after experiencing multiple organ failure and cardiac arrest. Isabel’s extensive suffering could have been avoided if the local emergency department and family physicians had stopped to ask ‘what else could this be instead of assuming her symptoms were typical of the chicken pox from which she was also suffering?’ Isabel was later diagnosed to be suffering from well-described complications of chicken pox: Toxic Shock Syndrome and Necrotizing Fasciitis. Rather than suing the hospital for medical error or malpractices, Isabel Healthcare System was created, in honor of Isabel Maude and all patients whose lives have been impacted by missed or delayed diagnosis, to help clinicians around the world do the best job for their patients and to help patient make sense of their symptoms. Isabel – Symptom Checker software is one of the most powerful tools on the market that thousands of clinicians and patients rely on daily to produce a list of possible diagnoses on a timely basis (http://www.isabelhealthcare.com). I would encourage all patients to get to know this new partner and others like her in the marketplace. One of the most crucial element to reduce misdiagnosis is to collect the right data in time to make it part of the decision-making process. This means that patients need to provide accurate information to their medical providers. It is not uncommon for some patients to feel hesitant about sharing information. This is particularly true when this information could be embarrassing. 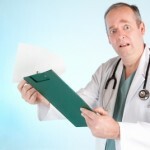 Many of us have experienced seeing a doctor with what we feel to be an embarrassing situation. There is also a cultural component to this because, in some families, nationalities or genders, certain topics are considered taboo. These secrets can result in the doctors starting with incomplete information. Doctors know this and will often make assumptions and come to different conclusions based first on the idea the patient is telling the truth and then a second potential diagnosis if the patient is not telling everything. Sometimes the withheld information can be as simple as the patient’s actual age, but it can even go as far as keeping secrets about drug use, medications taken, sexual history or previous illnesses. We need to remember that are physicians are trained to recognize patterns in symptoms and laboratory findings to generate a diagnosis. It becomes more difficult when patients withhold information or present in an atypical fashion. One of the goals of this article is to propose a unique approach to counter medical misdiagnosis by encouraging healthy partnerships between doctors, patients and intelligent software. When your medical provider pronounces a diagnosis, always get a second opinion. Patient’s self-motivation is very important because we have human doctors making human decisions about other humans. Patients need to be aware of what may influence their doctor’s decision-making. 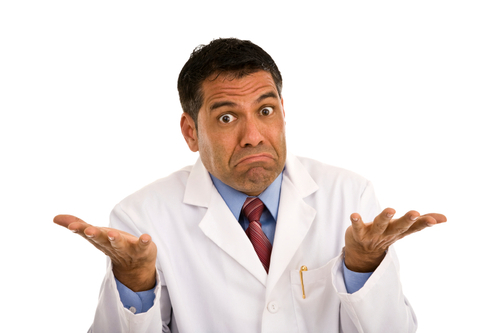 Imagine a doctor comes to conclusion about a diagnosis. The patient has disease X that requires drug Y. The doctor may be reluctant to use this drug, because a patient he prescribed it to previously had died. This could cause the doctor to revise and reject the rational process of attitude formation. It isn’t always about a negative bias towards a person. Sometimes it is about good doctors who are intimidated by a previous bad result. Thus, with the use of a free diagnostic tool like Isabel and patients self education, they will be able to provide inputs, clues, reminders, or extra eyes that can help a physician come to a more accurate diagnosis. Remember that the goal is to promote diagnostic partnerships between doctors, patients and intelligent software to help reduce misdiagnosis. Patients need to stay informed about their bodies and symptoms. Doctors will continue to spend time learning, but when most doctors spend the bulk of their time with patients and only about five hours a month learning about new diseases, we need to be knowledgeable and present possibilities to them (Hafner, NYTimes). However, as Katie Hafner points out in her article For Second Opinion, Consult a Computer? computer software “can analyze the equivalent of thousands of textbooks every second.” That means that as awareness grows, technology improves and patients and doctors become more accepting, the incidence of misdiagnosis will become increasingly rare. All of this points to the continued need to be an informed populace and to encourage doctors to continue to work with all available tools in order to help reduce the rate of misdiagnoses. We all have a part to play. Medical researchers conclude that the majority of diagnostic errors arise from flaws in physician thinking, not technical mistakes. The stressful atmosphere of hospital-based medicine contributes to a high level of anxiety. Knowing the right questions to ask and being good advocates is important. Sometime it can be difficult, particularly when there are perceived power imbalances in the doctor-patient relationship. This is where patient advocates may have a role. Patient must know how and when to give feedbacks about errors if their symptoms persist, change or worsen. Your life may just depend on it. Diagnostic mistakes account for about 15 percent of errors that result in harm to patients, according to the Institute of Medicine. Yet diagnostic software has been slow to make its way into clinical settings, and Dr. Dhaliwal, professor of clinical medicine at the University of California, San Francisco who is considered one of the most skillful clinical diagnosticians in practice today, uses Isabel as a “second check,” said he could understand why. Not only is it hard to integrate software into an already busy daily work flow, he said, but “most of us don’t think we need help at diagnosis, especially with routine cases, which account for the majority of our work” (Hafner, NYTimes). The bottom line comes back to the theme of the article: “Don’t Be a Victim of Medical Errors”. Diagnostic software simply provides information for a physician to consider when working with a patient. It is the patient’s knowledge and the level of advocacy that these ideas, clues, reminders, or extra eyes that can help a physician come to a more accurate diagnosis.